The evil scientist Quaid discovers a mechanism whereby he can control human beings in the same way he does his androids. He targets the police officer in charge of the state governor's visit. 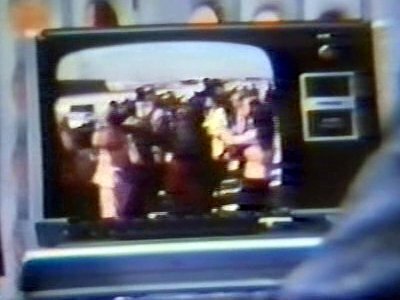 Quaid uses a TRS-80 to monitor the progress of his androids. 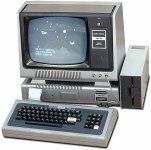 The TRS-80 is uses mostly for viewing colour video, and it had a black-and-white monitor with no external video input.